How can you ensure that your family is properly cared for when you die? After a lifetime of building your estate, the last thing you want is for someone else to make financial decisions on behalf of your family. Fortunately, the expert estate planning attorneys at Elder Brinkman Law know that a well-written and thoroughly thought-out estate plan allows you to control your assets and their allocation after you are gone. Trust the experienced attorneys at Elder Brinkman Law to help you leave your family in good hands with an estate plan that carries our your wishes. When you are ready to protect your family and your assets, one of our compassionate and knowledgeable estate plan attorneys will meet with you to gain an understanding of your short and long-term goals. After this meeting, our attorneys will create a plan specifically designed to suit your estate planning goals. Elder Brinkman Law can also help you prepare for the possibility of incapacity or for your medical care through powers of attorney, living wills, trusts and probate litigation. In addition, we can help you provide for minor children and reduce your taxes. If you do not have an estate plan, who will make the financial and medical decisions if you become unable to make decisions for yourself? Having a will, medical power of attorney and a trust in place is critical to ensure that the decisions made for you are your own. At Elder Brinkman Law, our experienced probate attorneys will advise you on the appropriate action to take in probate court. For more information about the estate planning and probate attorneys at Elder Brinkman Law or to schedule a free initial consultation regarding your estate plan or probate litigation, contact our office today or call us directly at 313.582.5800. Copyright © 2019 Elder Brinkman Law | All Rights Reserved. This is Not A Partnership. 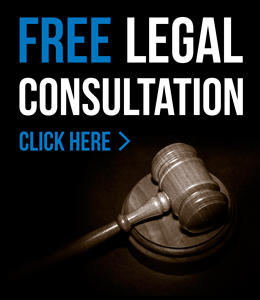 Elder Brinkman Law provides their legal services to businesses and individuals who are looking for a: Dearborn Attorney, Dearborn Heights Attorney, Canton Attorney, Plymouth Attorney, Northville Attorney, Royal Oak Attorney, Southfield Attorney, Romulus Attorney, Livonia Attorney, Sterling Heights Attorney, Warren Attorney and all other surrounding areas.